SI.com analyzes the key storylines facing each ACC team during spring practice. It’s only March, but so far the ACC has aced the off-season. The conference generally considered to be a two-team race now appears to have five legitimate contenders: Clemson, Florida State, North Carolina, Louisville and Miami. And even some of the programs that haven’t made that leap into contention just yet appear to be on the rise. Of the four new head coaches hired in the conference this off-season, all four received grades of A or A- in our coaching hires report card. The ACC Coastal, long derided as a wasteland of teams fighting for the right to lose to the Atlantic Division champion in the conference title game, now boasts hot names like Justin Fuente and Mark Richt in addition to highly regarded holdovers like Pat Narduzzi and David Cutcliffe. It’s a bullish time in the ACC, but coaching buzz only lasts until the season starts if positive results don’t soon follow. Meanwhile the top of the conference is gearing up for another run at a national championship after 2015 champion Clemson fell just short in the title game. Teams that go winless in conference play often have widespread problems. Not so with the Eagles, who boasted the top defense in the country in yards allowed per play but ranked 124th on offense with 4.40 yards per play. Last year’s offensive coordinator, Todd Fitch, is gone, and Loeffler must find some answers to improve a passing attack that gained just 110.9 yards per game. Six quarterbacks will compete for the starting job, but it likely will come down to either Darius Wade, who began last season as the starter before breaking his ankle, or Kentucky graduate transfer Patrick Towles. Towles had some success with the Wildcats as a sophomore before losing his starting job toward the end of his junior season. Now he must work with his fourth offensive coordinator in four seasons. 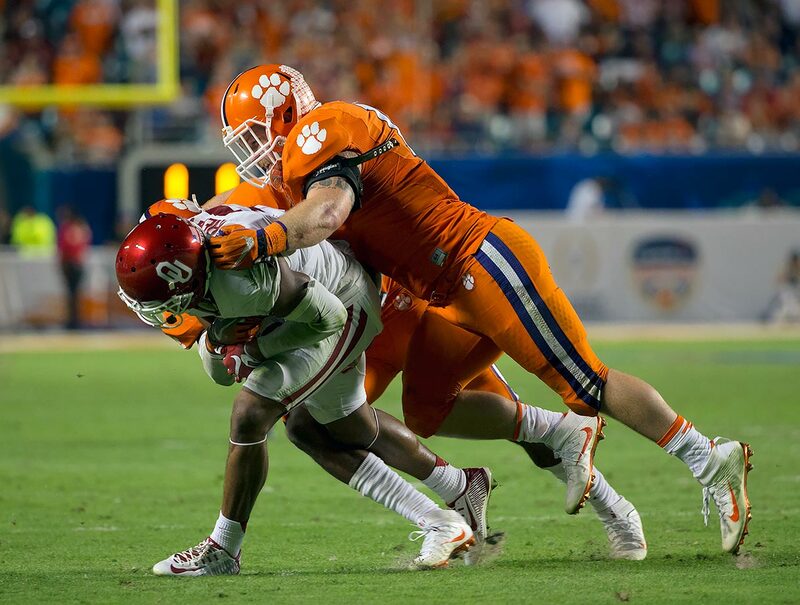 Clemson: Can the defense reload—again? For the second straight year, defensive coordinator Brent Venables has his work cut out for him. Clemson overcame the loss of seven defensive starters in 2015 to allow just 4.85 yards per play as ends Shaq Lawson and Kevin Dodd, linebacker B.J. Goodson, and defensive backs Mackensie Alexander, Jayron Kearse and T.J. Green developed into stars. Now all those players are gone, and Venables must again replace seven starters on defense. The Tigers return perhaps the most talent in the offensive skill positions of any team in the country—QB Deshaun Watson; RB Wayne Gallman; WRs Deon Cain, Artavis Scott and Mike Williams; TE Jordan Leggett—but that talent could go to waste if the new defensive replacements aren’t up to the caliber of their predecessors. The injury bug struck early for the Blue Devils as starting quarterback Thomas Sirk ruptured his Achilles in February, so it’s up to Parker Boehme to right the ship. Luckily for Duke, few coaches have a longer track record of building up quarterbacks than David Cutcliffe. Boehme started against Pittsburgh last year, completing 54.8% of his passes for 248 yards with one interception in a loss. Cutcliffe will need to instill confidence in Boehme to continue the progress he’s made at Duke that led to the Blue Devils’ first bowl win in 54 years last season. Boulware recorded 81 tackles, 7.5 tackles for loss, three sacks, three forced fumbles and two interceptions en route to being named a first team All-ACC performer. The senior linebacker will have to take on an even bigger role in 2016 as the Tigers return just four starters on defense. Cook set Florida State record for rushing yards and all-purpose yards in a season en route to first-team All-ACC honors. After finishing seventh in the 2015 Heisman Trophy voting, he'll be on the short list to win the award next season. 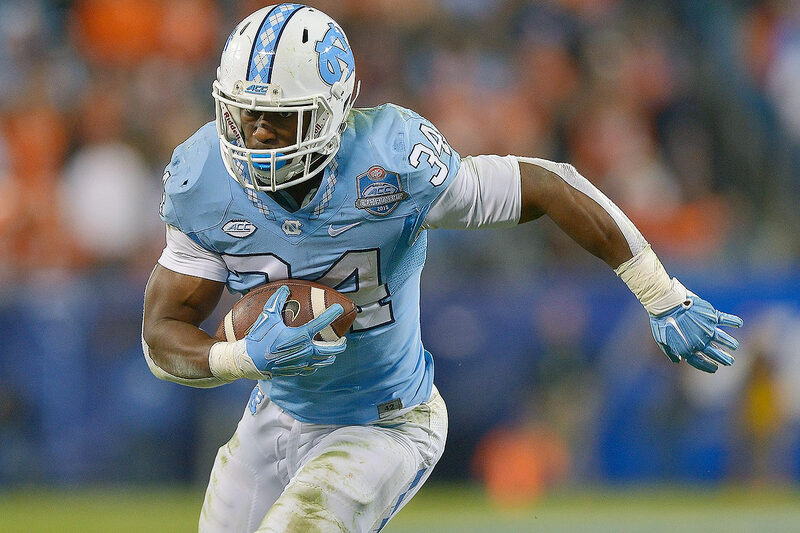 Hood quietly amassed 1,463 rushing yards in 2015 to guide the Tar Heels' ground game. Now with quarterback Marquise Williams gone, Hood is poised to become the focal point on North Carolina's offense. Jackson entered elite territory in Louisville's Music City Bowl win over Texas A&M when he rushed for 226 yards, the second-most by a quarterback in FBS bowl history. The dual-threat quarterback finished the season with 1,840 yards passing, 960 yards rushing and 23 touchdowns. 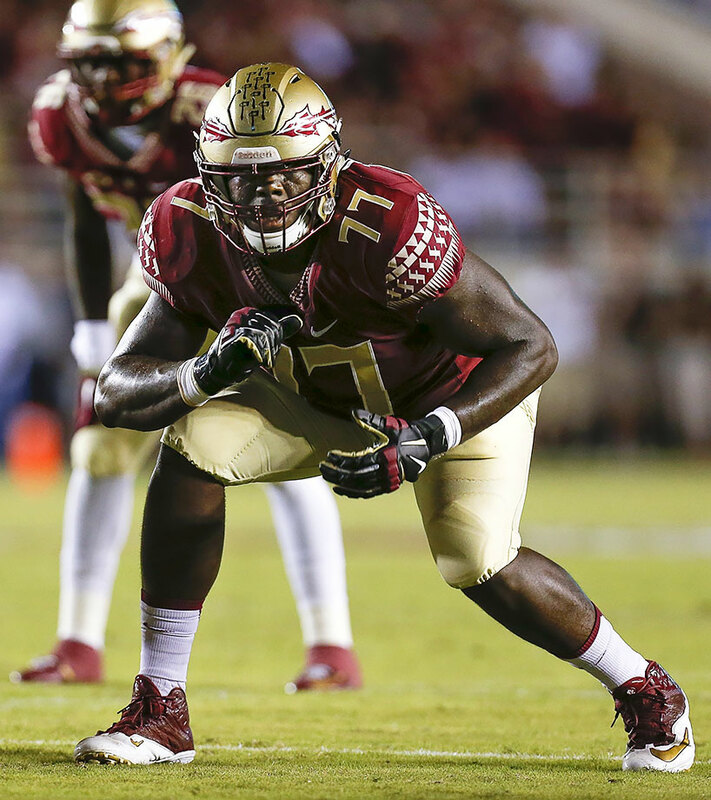 Florida State's 6'7", 323-pound behemoth of a left tackle started every game in 2015 and won the ACC's award as the conference's best blocker. The preseason All-America selection will clear running lanes for Dalvin Cook again in 2016. Kaaya threw for 3,238 yards and 16 touchdowns last season, finishing second in the ACC in passing yards behind only Clemson's Deshaun Watson. 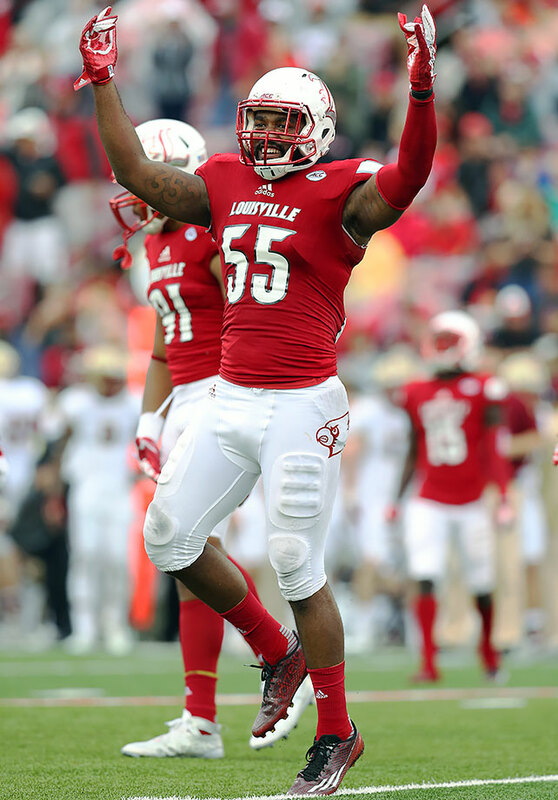 The Cardinals' middle linebacker and team captain decided to return for his senior year after leading Louisville with 107 tackles last season. Kiser led the ACC and finished 17th in the country with 117 tackles last fall. 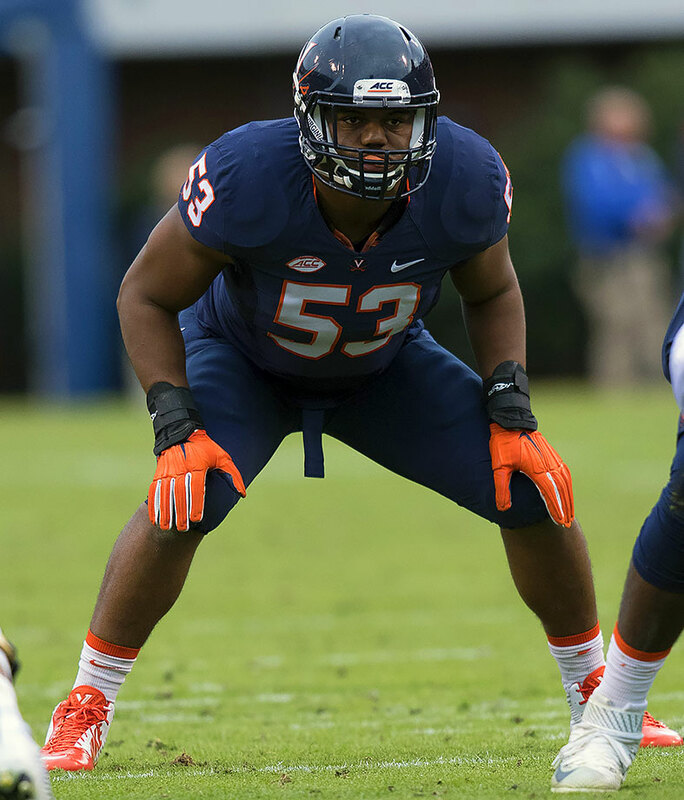 He made big strides last spring as one of two Virginia players to earn the Rock Weir Award for most improved player during spring drills. Kiser now hopes to take his game to another level this year. The reigning ACC player of the year returns for his junior season after leading the Tigers to a 14–1 record and a national championship game appearance last season. 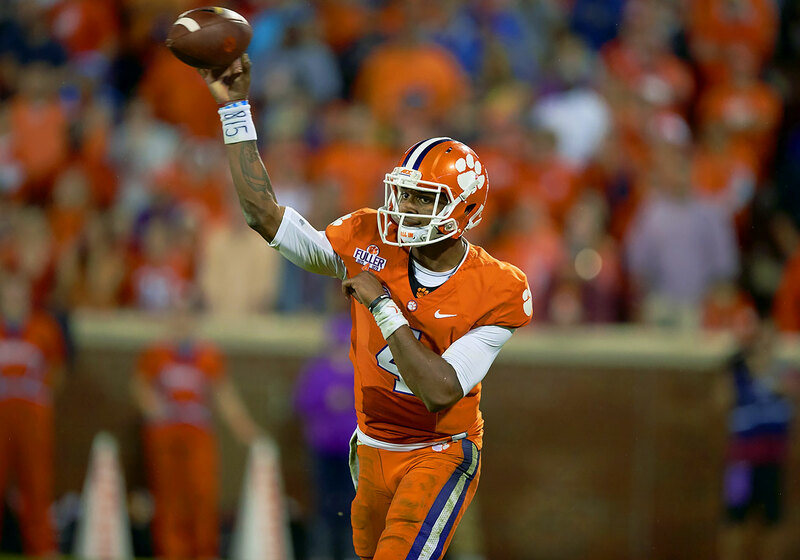 Watson has his sights set on surpassing what he accomplished last season, meaning taking home the Heisman Trophy and a national championship. 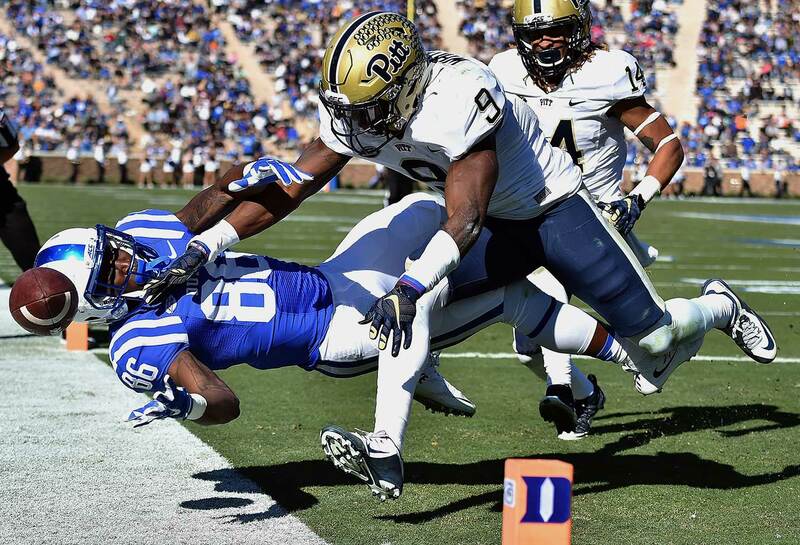 The Pittsburgh defensive back recorded 110 tackles as a true freshman last fall and shared the ACC Rookie of the Year award with teammate Qadree Ollison. Florida State: Can Deondre Francois unseat Sean Maguire at QB? Maguire spent the 2015 season battling with Everett Golson for snaps and provided a serviceable option for the Seminoles. He completed 59.3% of his passes with 11 touchdowns and six interceptions. 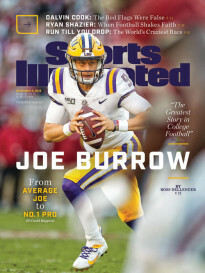 But he has nowhere near the potential of former four-star recruit Deondre Francois, who spent the ’15 season redshirting and is now ready to compete for the starting role. It doesn’t help Maguire’s chances that an ankle fracture suffered in Florida State’s Peach Bowl loss to Houston will keep him out for the spring. That means extra opportunities for Francois to prove he has learned Jimbo Fisher’s offense and gives the ‘Noles the best chance to win an ACC title this fall. It wouldn’t be the first time a redshirt freshman quarterback was entrusted with that task at Florida State. Georgia Tech: Can the front seven become the strength of the defense? The Yellow Jackets’ front seven floundered again in 2015, ranking 91st in yards allowed per carry and 120th in sacks. Georgia Tech returns only five starters on defense, but four are on the defensive line or at linebacker. An inexperienced secondary only increases the urgency to get more pressure close to the line of scrimmage. Linebacker P.J. Davis, who tied for the team lead with 6.5 tackles for loss in 2015, must lead that effort or else last year’s slide could carry over into the 2016 season. 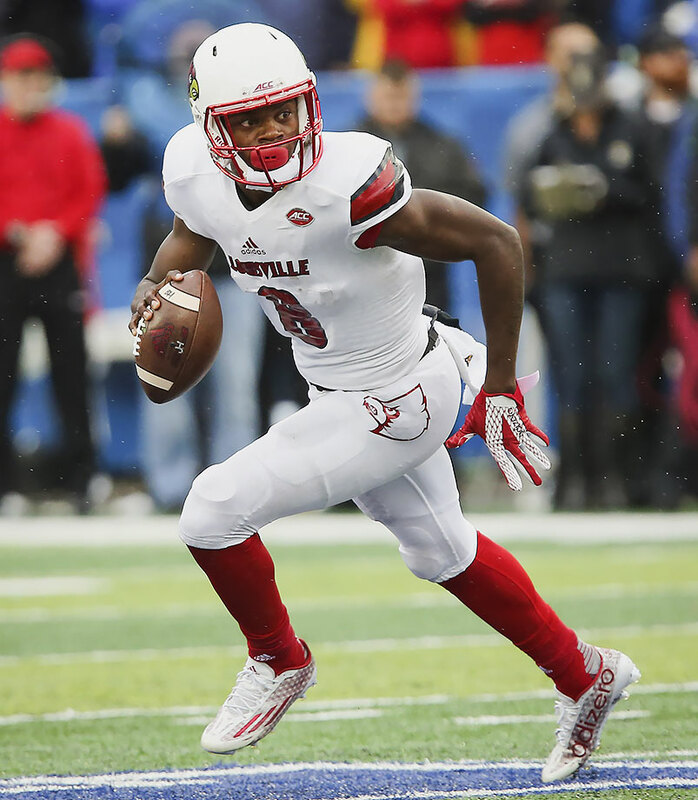 Louisville: Can experience finally translate to an offensive breakthrough? The Cardinals’ offense made steady progress in its second year under Bobby Petrino, improving from 5.46 yards per play to 6.01. However, both of those figures represent the lowest totals in a Petrino offense since his first year at Arkansas in 2008. But with 10 offensive starters returning in ’16, there’s reason for optimism that Louisville might finally get the production to match its stout defense. Critical to any breakthrough will be the continuing development of quarterback Lamar Jackson, who proved a deft runner in his freshman season but completed just 54.7% of his passes and had a 12-to-8 touchdown-to-interception ratio. This is Jackson’s first off-season in the program, as he didn’t enroll early last year to take part in spring practices. More reps and improved rapport with his receivers, all of whom return from last fall, should produce some growth. Miami: How much improvement can Mark Richt and Manny Diaz engineer on defense? Richt’s 145–51 career coaching record is a testament to his proven qualities as a head coach. 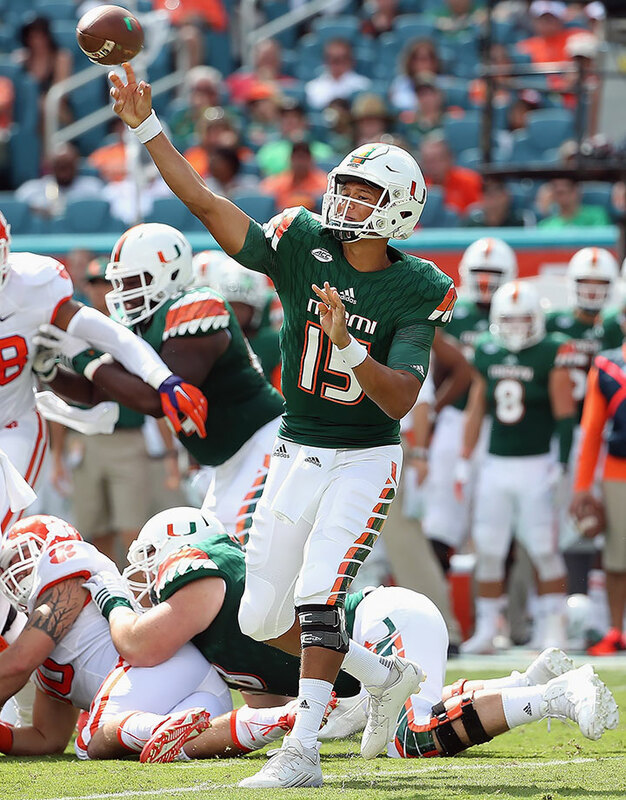 And his offensive background should serve him well with a group that returns star quarterback Brad Kaaya, a trio of running backs led by Joseph Yearby and an offensive line that brings back all five starters. It’s the defense that could trouble him in 2016. The Hurricanes had the worst run defense in the ACC last year, allowing 5.26 yards per carry, while the secondary must replace three starters. One of the keys this spring will be adapting to Diaz’s 4–3 scheme. 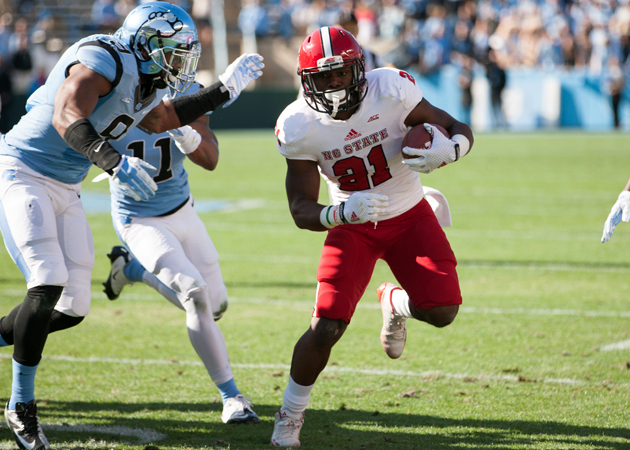 NC State: How will the Wolfpack handle the increase in tempo? Head coach Dave Doeren fired coordinator Matt Canada despite an offense that averaged 33.2 points per game in 2015. Doeren wants to up NC State’s tempo and picked Boise State’s Eli Drinkwitz to oversee that effort. Now Drinkwitz must make his own choice between Jalen McClendon and Jakobi Meyers to replace Jacoby Brissett as the Wolfpack’s quarterback. McClendon has an extra year of experience in the program, but as the stronger runner, Meyers might be the better fit for a faster-paced offense. North Carolina: Can Gene Chizik find new linebackers to continue the Tar Heels’ defensive improvement? North Carolina made significant strides in Chizik’s first year as defensive coordinator, improving its yards allowed per play by a yard. However, that improvement still left the Tar Heels at 56th in the country due in large part to a run defense that ranked 109th in yards allowed per carry (Baylor’s 645 rushing yards in the Russell Athletic Bowl didn’t help). And now linebackers Shakeel Rashad and Jeff Schoettmer (223 tackles, 15 tackles for loss combined) depart along with their veteran leadership skills. Chizik must hope Andre Smith and Cayson Collins are ready for big roles to help the defense take the next step. Pittsburgh: What will the offense look like without Tyler Boyd? Nearly 40% of the Panthers’ passing game went through Boyd last season, creating a huge hole for new offensive coordinator Matt Canada to fill. Canada’s offenses typically have been built around the running game, an area that should work well at Pitt with ACC Offensive Rookie of the Year Qadree Ollison and the return of running back James Conner. In the passing game Dontez Ford likely steps into the role of the primary receiver after catching 26 passes for 505 yards last season, but Canada said he plans to spread the ball around more. Spring practices will be critical to identifying which players stand to benefit in that distribution. Syracuse: How quickly will the Orange take to Dino Babers’s offense? Syracuse hired Babers because of his track record of scoring points. He turned Bowling Green into an offensive juggernaut that averaged 42.2 points per game last season en route to a MAC championship. Babers has plenty of room to work with the Orange, which ranked 77th in scoring offense in 2015. But his up-tempo spread system will take some learning, especially for players who weren’t recruited for his system. So far, Babers has successfully implemented his Art Briles-inspired scheme at Eastern Illinois and Bowling Green. While that’s a 100% success rate, it’s still only two stops, and Syracuse’s position in the ACC hierarchy makes this his most difficult job yet. The uphill climb begins this spring. Virginia: Will the Cavaliers embrace the challenge? 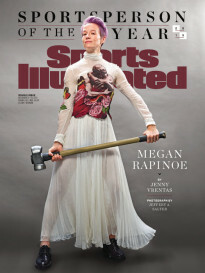 “Challenge” has been the buzzword around Charlottesville since Bronco Mendenhall’s hiring as Virginia’s new head coach. Mendenhall was a surprising hire but was won over by the challenge of building a consistent winner at a program that has made just one bowl game in the last eight seasons. Now he has to get his players to embrace the challenge of escaping a negative trend of failing to live up their recruiting hype. For the first time since 1986, someone other than Frank Beamer will lead the Hokies’ practices. Succeeding a legend is a difficult task, but Justin Fuente will have to make the program his own. That’s already happening with plans to push the tempo on offense. Fuente and offensive coordinator Brad Cornelson will have to pick a quarterback to oversee their up-tempo attack now that Michael Brewer is gone. New arrival Jerod Evans, the No. 1 juco QB recruit, according to Scout.com, will compete with Brenden Motley, who started six games last season but tossed seven interceptions. Whoever wins the job will be surrounded by talent as the Hokies return a 1,000-yard rusher (Travon McMillan) and a 1,000-yard receiver (Isaiah Ford). Wake Forest: Can a young offensive line finally move out of the cellar? The defining flaw of Dave Clawson’s tenure so far as Wake Forest’s coach has been atrocious offensive line play. The Demon Deacons ranked 117th in the country with 40 sacks allowed in 2015, a relative improvement from finishing last with 48 sacks allowed in ’14. However, their 3.03 yards per carry last season ranked second to last in the nation. Recognizing the clear deficiency, Clawson has emphasized the offensive line in recruiting, and Wake Forest now appears ready to embrace its new generation of linemen. At least three starters are likely to be sophomores and several backups will be sophomores and redshirt freshmen. Quarterbacks John Wolford and Kendall Hinton are desperate for more time, and while the running game woes can also be blamed on the backs themselves, better holes would certainly help.